Patrick Falci, as Confederate General A.P. 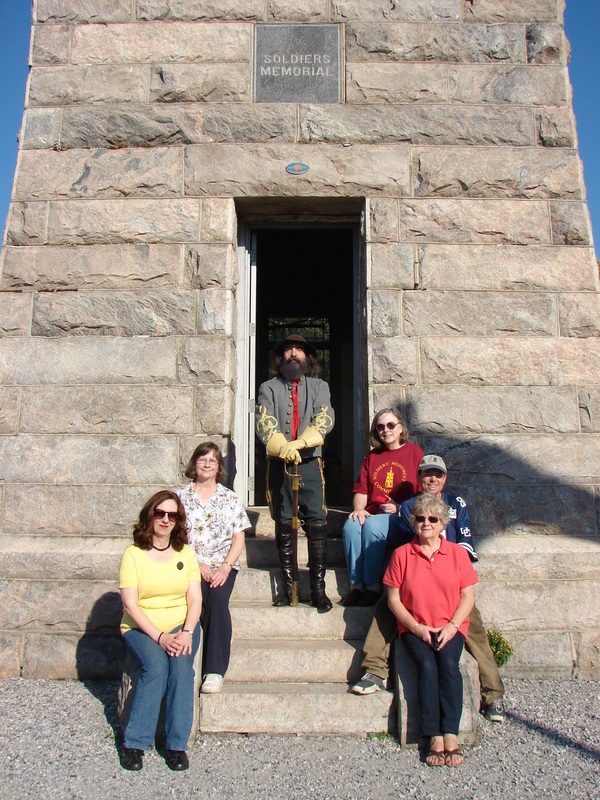 Hill, stopped by the Soldiers' Monument on September 27th. Falci portrayed Hill in the film classic "Gettysburg" produced by Ted Turner. Hill was the historic consultant on that film and also on "Gods and Generals". Falci's lectures on the life of A.P. Hill and the making of the film "Gettysburg" are met with enthusiastic audiences everywhere. 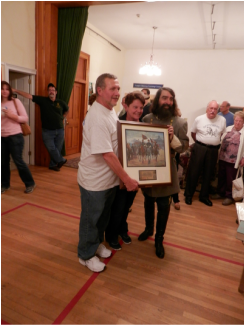 That evening, after giving his lecture on The Making of the Film "Gettysburg", Patrick Falci drew the winning ticket for an auction of a print by Mort Kuntsler and donated by Deb and Lynn Kessler to benefit the Soldiers' Monument. The lucky winners with Patrick Falci!